Rusty crayfish are native to streams in the Ohio River Basin states of Ohio, Kentucky, Illinois, Indiana, and Tennessee. They were introduced to Wisconsin by anglers who used them as fishing bait. These crayfish impact native crayfish populations, aquatic plant communities and whole lake ecosystems. The lakes that have a large population of rusty crayfish resemble a desert with very little aquatic vegetation. These crayfish are like little lawn mowers often eating a lake out of aquatic vegetation. These crayfish are also much more aggressive than the native crayfish. 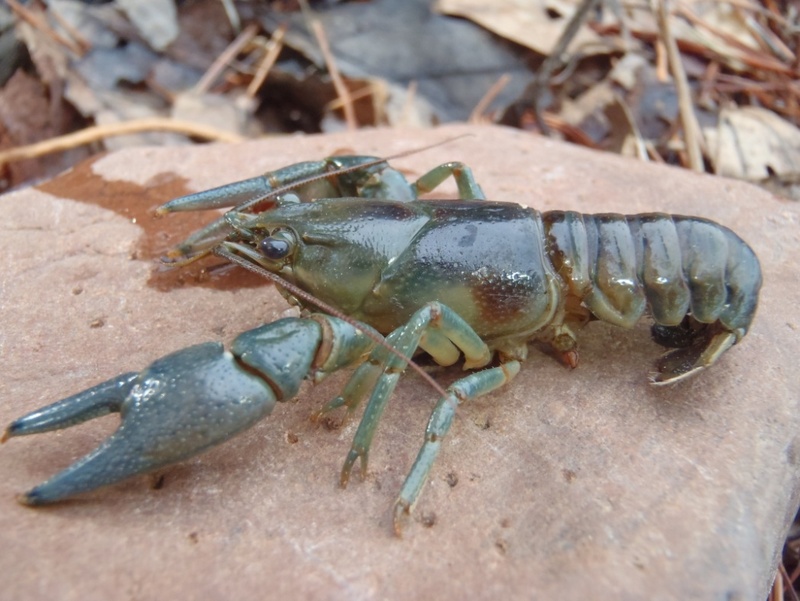 The native crayfish are often chased out of their burrows into the open where they become easy prey for game fish.